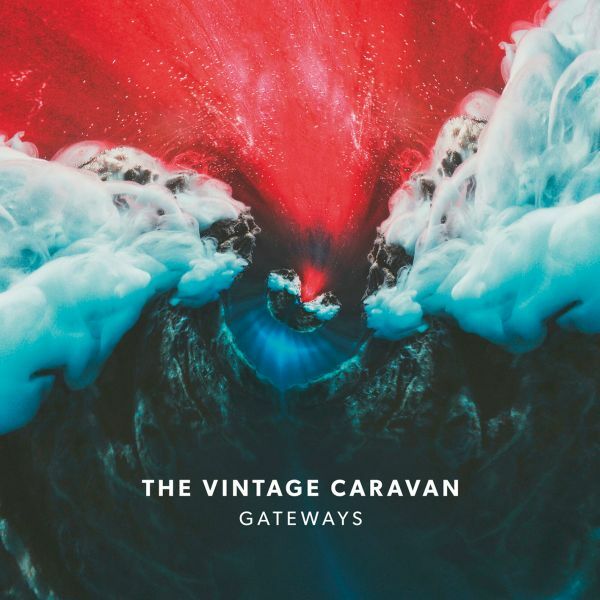 THE VINTAGE CARAVAN - GATEWAYS | Releases | Wizard LTD. Anyway, whoever thought that »Arrival« would be the end of the story, will be proved wrong by the band’s 4th studio album entitled »Gateways«. “We really pushed ourselves to make this album sound as great as possible,” states Óskar. Recorded in the legendary Sundlaugin Studios in Iceland (Sigur Rós), and produced by Ian Davenport (BAND OF SKULLS, »The Twilight Saga: New Moon«), the record’s cover photo art was crafted by Julian Haas (Through The Haze). DEEP PURPLE, LED ZEPPELIN, JIMI HENDRIX, RAINBOW - the list of bands that influence THE VINTAGE CARAVAN’s creative work is undeniable, but the band still puts their very own stamp on every single track. So they do on »Gateways«: The 48-minute ride kicks off with almost threatening guitar weeping, before it converts into »Gateways«’ stomping opening track &apos;Set Your Sights&apos; (cowbell alert! ), which is followed by the groovy &apos;The Way&apos;. Via the first single, an indomitable beast called &apos;Reflections&apos;, the listener lands at the swinging &apos;On The Run&apos;, the perfect soundtrack for an extensive, regardless open-top drive in the summer time with its simple and light, but enormously catchy, lead melodies. &apos;All This Time&apos; takes a similar line and culminates in a melancholic chorus as well as a soulful guitar solo. Restless shredding introduces &apos;Hidden Streams&apos;, another banger led by haunting guitar lines and pounding drums. &apos;Reset&apos; surprises with an emphatic riff attack which takes hold in everyone’s brain instantly and should be a fixture of the band’s future set list with its memorable chorus. Up next is &apos;Nebula&apos;, probably the album’s most psychedelic track, packed with dreamy guitar tones, ending in another eruptive solo. With its Ritchie Blackmore-esque vibes, &apos;Farewell&apos; wins over the fans, before the record &apos;Tune[s] Out&apos; with another quite slow-paced track that suddenly turns into another whirlwind before the fade out… and to make the fans press “play” immediately to experience this compulsive journey again! 10 tracks, 10 hits. These guys simply can’t fail in delivering intense tunes that come together once again in this classic rock cocktail titled »Gateways«, on which the band cements and also refines their own style. The final question is: How can THE VINTAGE CARAVAN top this addictive masterpiece? But first go and check out the band’s high-energy live shows…!